Freddie Wong pay homage to the movie Home Alone in his latest short. You don’t want to be breaking into Freddie’s house. He’s got booby traps everywhere! Don’t forget the hands to the face. 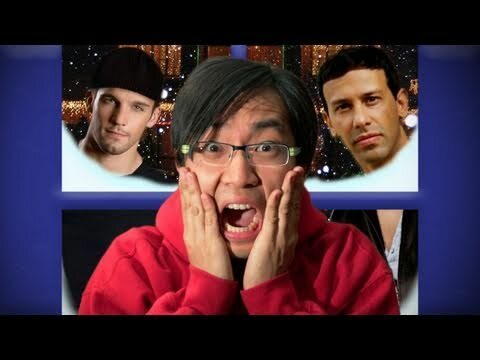 Next time he can use 11 year old Freddie Wong. This entry was posted in shorts on April 30, 2011 by Kevin Hsieh - channel APA. “I live my life a quarter mile at a time. Nothing else matters. For those ten seconds or less, I’m free.” Those famous words uttered by Vin Diesel’s character, Dominic Toretto, pretty much summed it up for a street racer. In 2001, Fast and Furious was introduced. It gave us an inside look into a culture that was known to be predominantly Asian American. Moreover, it gave the import car world an affirmation for their love. Now, as the highly-anticipated fifth installment of the Fast and Furious franchise directed by Justin Lin comes out, a reunion of cast members from each chapter come together. Joining Dom, Mia, and Brian in Brazil to pull off a hundred million dollar heist are Han (Sung Kang), Roman (Tyrese Gibson), Tej (Ludacris), Vince (Matt Schulze), and Gisele (Gal Gadot). The group who grew up modifying, racing, and drifting their cars have come together to use their skills in what has been called “an Ocean’s Eleven-esque plan with fast cars at 120 mph”. Dwayne “The Rock” Johnson plays Hobbs, a militant federal agent who never misses his target, is now on the hunt for them. But soon, as with everything dealing with Dom Toretto, Hobbs cannot tell the good guys from the bad guys. Despite my initial reservations, Fast Five definitely came through. I agree with previous reports that the physics of some stunts are not realistic. But who cares? It’s a movie – not real life. The cars, the action, the races, and the people we were introduced to ten years ago still stands strong. And though the fifth installment has slightly switched gears from its original import racing world, it nonetheless satisfies our adrenaline-junkie and car needs. From the traditional imports of a 1972 Nissan Skyline, 1996 Toyota Supra (when is that new model coming out? ), and 2010 Subaru STi to four 2011 Dodge Charger Police Interceptors racing in a million dollar race, our guilty pleasure remains intact. And let’s be real. Yes, we love (and I mean love) the cars and the races, but Fast Five is more about the people. It’s about the ones Dom chooses to surround himself with – friends that become family. Import bliss brought them together. Their common bond of living life to the fullest, one quarter-mile at a time, kept them together. It’s a bond that cannot be broken despite federal agents, warrants, and false allegations about the precision drivers. As for the real-life racers of Fast and Furious, they face their own discrimination and scrutiny as well. There is a saying that if you are a young Asian driving a modified import, the police are sure to target you for suspicion of illegal street racing. It’s true that the world of import racing is mostly comprised of Asian Americans, but almost anyone in it would agree on one thing for those on the outside looking in. It’s not about your ethnicity – it’s about your car. The money and time spent on your modified machine is more than just a hobby – it is a statement and a lifestyle. It doesn’t just go away as you get older. It merely progresses to something more. Also, just as the franchise has shown, we do it for more than just a race. It’s more than just standing by your car. It’s a love that flows in your blood. It’s about body kits, JDM engines, intake systems, and aftermarket parts. It’s about the Civics, Integras, Eclipses, Supras, and so many more. Most importantly, it’s about being free, even if it’s only for a quarter mile at a time. Get tickets to see IFast Five Fandango or movietickets.com. This entry was posted in cars, movies on April 30, 2011 by zoey_flowers. This entry was posted in comedy, movies on April 30, 2011 by Kevin Hsieh - channel APA. Also see his other short Bookie. A love triangle between two good friends Nraug Hli Xiong aka ‘X’, Tou Lee and a fictional dream girl, Nkauj Hnub Xiong. X is every woman’s dream man. He’s successful, intelligent and beyond gorgeous, but even with all his good fortune X is empty knowing and sensing that his life is hollow and missing an essential element. Searching for the spark to his life X turns to his dreams and there finds this fantasy girl. Their love blossoms in his subconscious and X deters from reality to find a way to make his fantasy love come to life. However, trying to change the hands of fate, changes their destiny and X is trapped between two worlds. You can learn more and support this Hmong project here. This entry was posted in movies on April 30, 2011 by Kevin Hsieh - channel APA. Rapper Jin released his latest English EP “Sincerely Yours.” These tracks were created for an event he’s doing in Vancouver in May. (Previously, he gave us peeks at Changed Man and Just Music.) The 6 track EP is all original inspiring and uplifting music. It’s a personal message from Jin that the music belongs to you. You can download it FREE here. The file is password protected, but true Jin fans will figure out the password easily. AIYA!!!!!! This entry was posted in music on April 29, 2011 by Kevin Hsieh - channel APA.